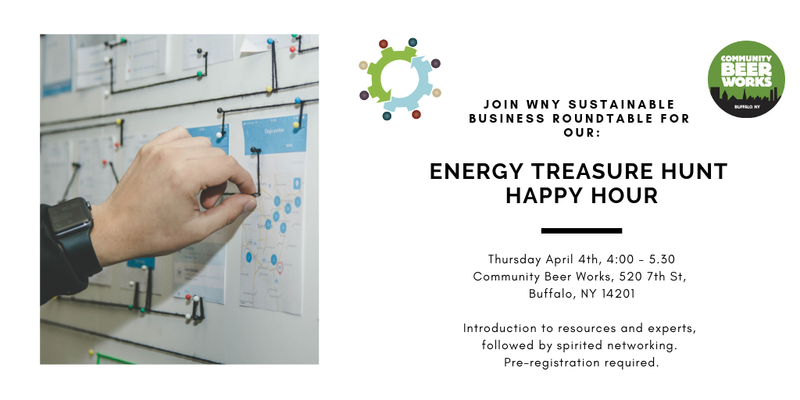 Join us for an Energy Treasure Hunt Happy Hour. Network with your sustainable business colleagues while enjoying top quality craft beer and finding an energy conservation program that can help your business. These different programs have helped local businesses of all sizes – from GM to the Buffalo Zoo to local restaurants.